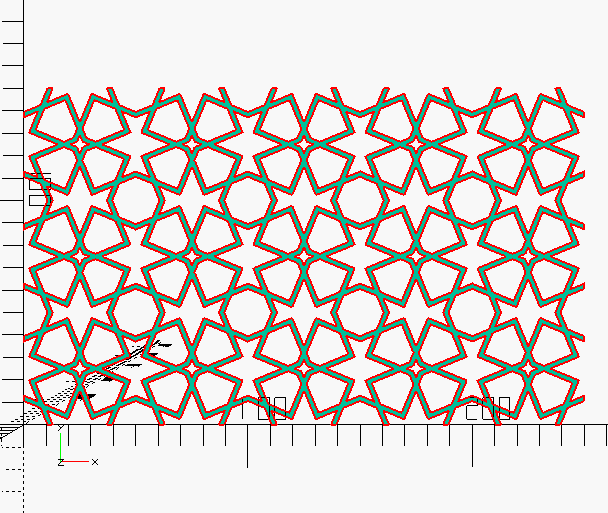 Diagonal Section through Menger sponge (SVG) (OpenSCAD source) — this may take a while to render, as it’s making a Menger sponge in 3D and then slicing through it to make the projection. 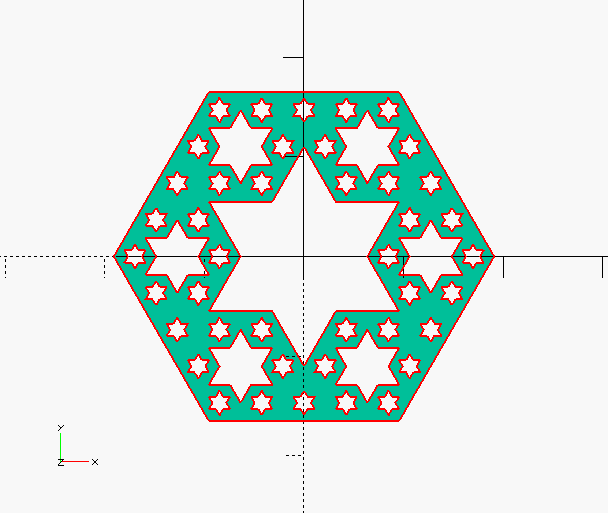 Pattern from Ak Medrese, Nigde, Turkey (SVG) (OpenSCAD source) — design after a construction by Eric Broug. “A close up of [The Tomb of Bibi Jawindi, Uch, Pakistan] by Usman Ghani” by Usman.pg – Licensed under CC BY-SA 3.0 via Wikimedia Commons. 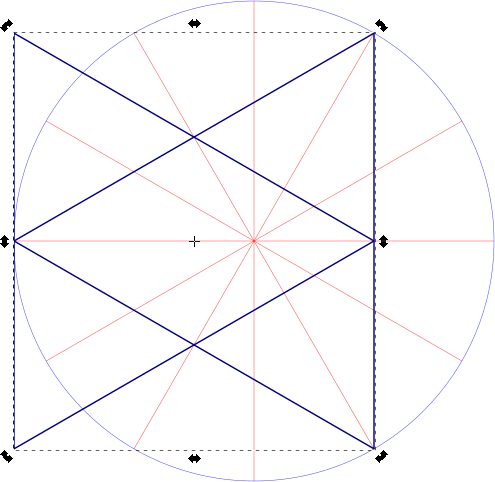 I’ve been following Eric Broug‘s methods of construction that use a ruler and compass exclusively. Not being that great with manual dexterity, I’ve found these much slower to draw than I could on a computer. Consequently, I looked around for a good, free tool that people could use to start making these drawings. 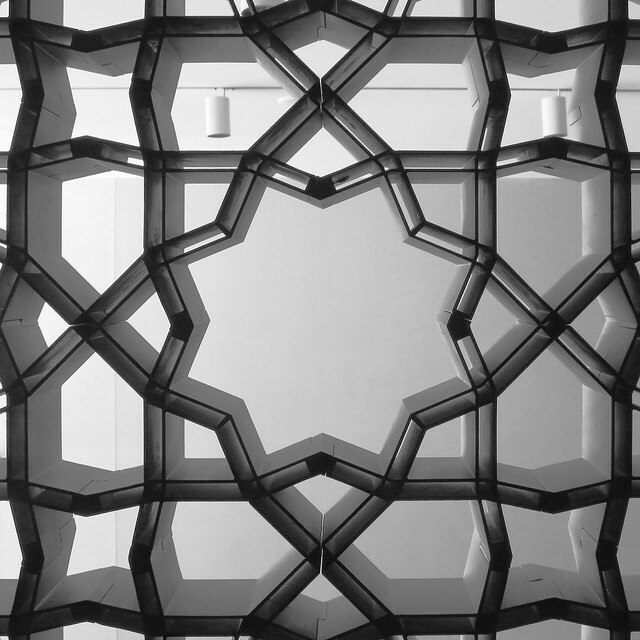 Most of the operations (including drawing from one intersection to another, rotating objects around a point, buffering lines into polygons) can be done by CAD packages, but these often have a steep learning curve. CAD packages also don’t tend to have many artistic functions. Thankfully, the free drawing packing Inkscape has almost all of the features I need. 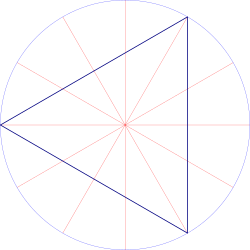 Just one of the features I use quite often (creating a circle from a centre point and a point on the circumference; in other words, emulating a compass) isn’t built in, but can be done with a simple sequence of operations. 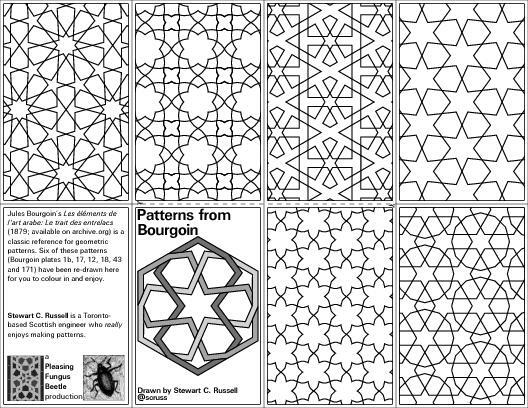 In this article, I hope to show you some techniques you can build on for making your own patterns. This is covered well on the Inkscape website, so I won’t repeat it here. It’s important to get the most recent stable version of Inkscape. Some Linux distributions provide a really old version, so make sure you’re using at least version 0.91. Inkscape runs on Linux, Mac and Windows. On Mac, it’s a little slow and uses some non-(Mac-)standard keyboard shortcuts. You may also have to install XQuartz on your Mac for it to run. It works fine on Windows (I tested 8.1). I’ve enlarged the screen grab so you can make the info box out more clearly. 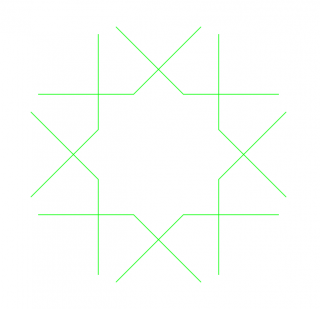 Snap to Object Centre —prefer the centre of objects. 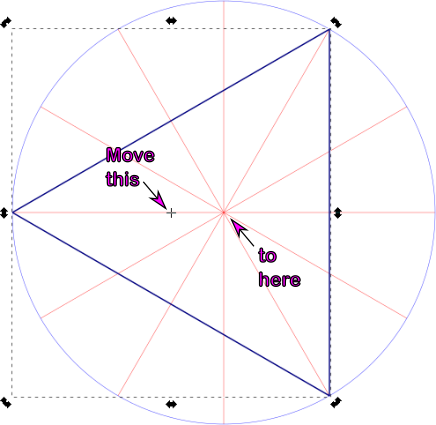 Here’s a simple example of a triangle drawn from construction lines. 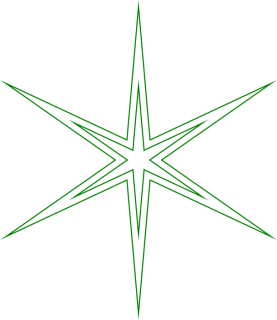 I couldn’t ever draw a perfect equilateral triangle freehand, but with snapping, it’s four clicks (three vertices, then a final click on the first vertex to close the figure), and it’s done perfectly. 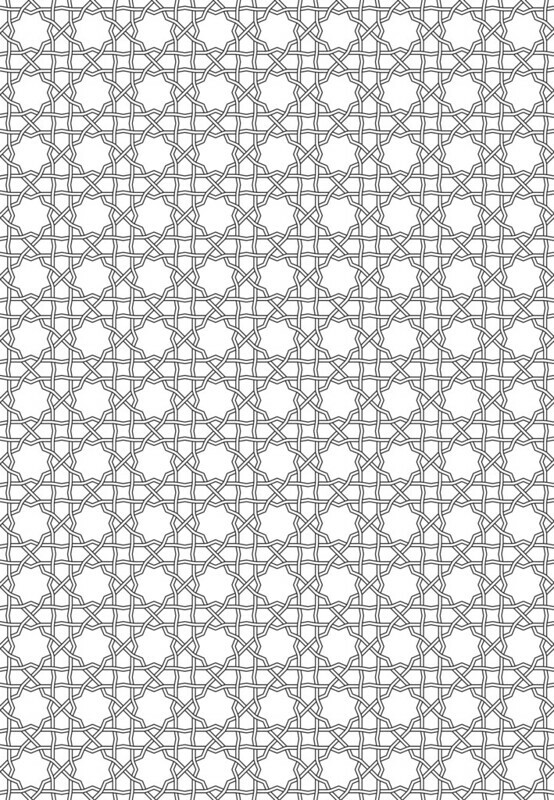 Incidentally, most of the patterns I make use straight lines. 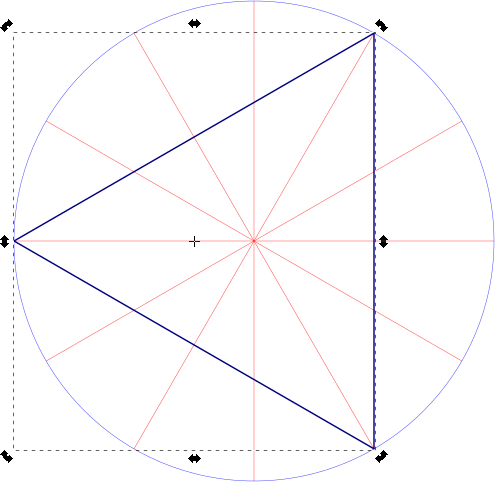 In Inkscape, you’ll want to use the Pen tool ( ) with straight lines enabled ( ). Moving the centre of rotation makes all the difference. 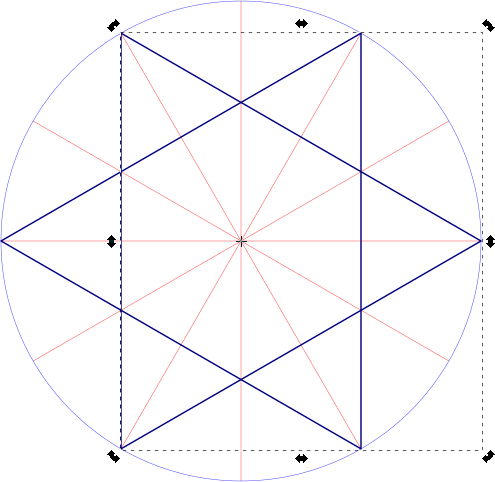 Most geometric figures have lines with some thickness to them. Guide lines alone are pretty boring. You can use Object → Fill & Stroke and set Stroke Style on a path to make it wider, but sometimes you might want to work with the intersections of the edges of these paths. Fortunately, Inkscape makes this relatively easy. First, give your path the width you want, say 3-5 mm. Then, with the path selected, use Path → Stroke to Path. 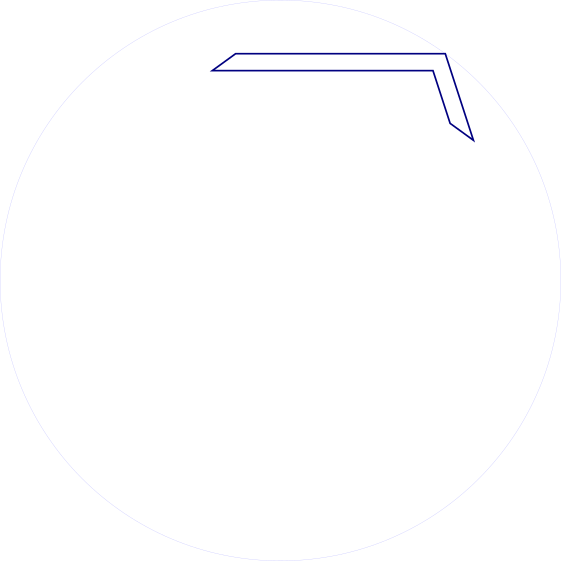 At first, nothing appears to have happen, but change the Fill to none (the ‘×’ icon) and the Stroke Paint to solid. Suddenly, the path will appear to get really thick, but reduce the Stroke Style: Width down to a fine line, and you’ll end up with the outline of your original path. I’ve jumped ahead a bit with the illustration, and started to fill in the strapwork. 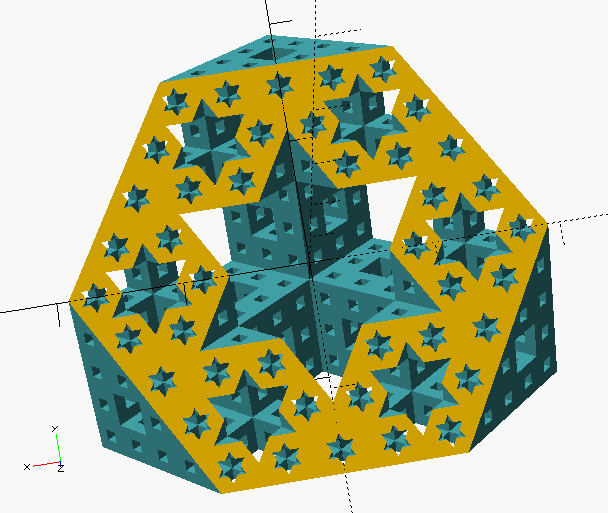 Inkscape will snap to the nodes on the edges of your figure, and you can decorate it any way you wish. 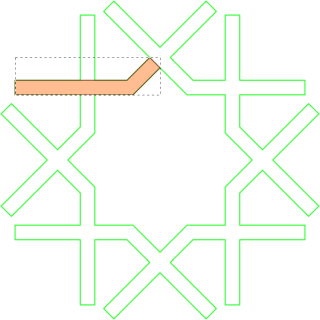 Separating construction lines from drawing objects by using Layers is very helpful. 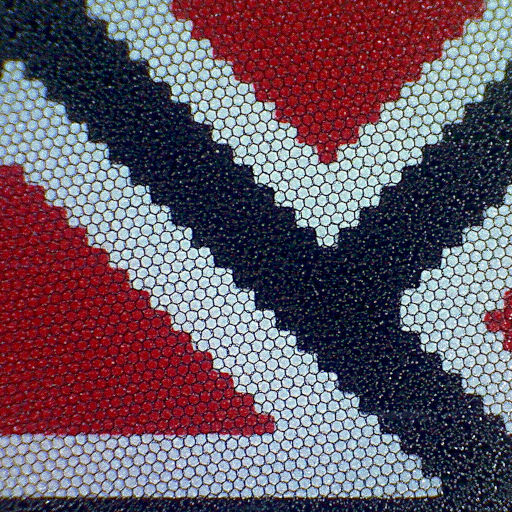 Once you hide the construction lines, your patterns look much more impressive, as you can’t easily see how it was put together. The Select Same command allows you to select objects with the same fill and/or stroke style. I find this useful for selecting objects for grouping, or moving to other layers. 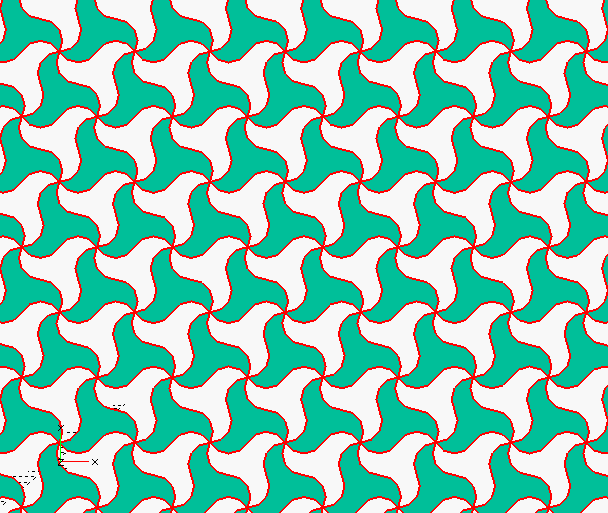 Clipping objects to basic tile shapes can help to make seamless repeat units for tiling. 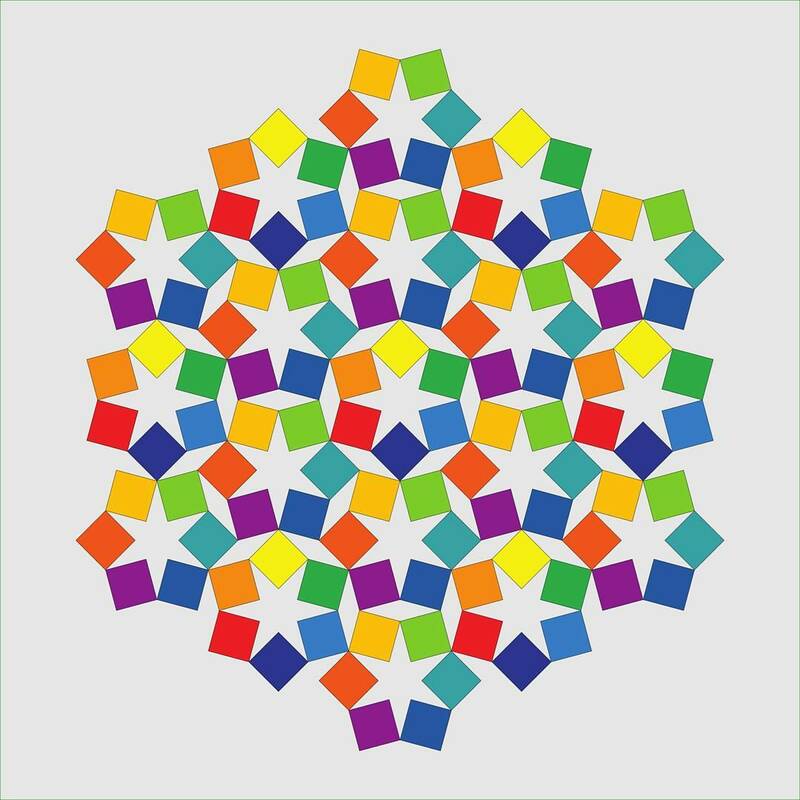 The Clone → Create Tiled Clones … command is immensely powerful for making patterns out of repeat units. It’s also rather hard to use. 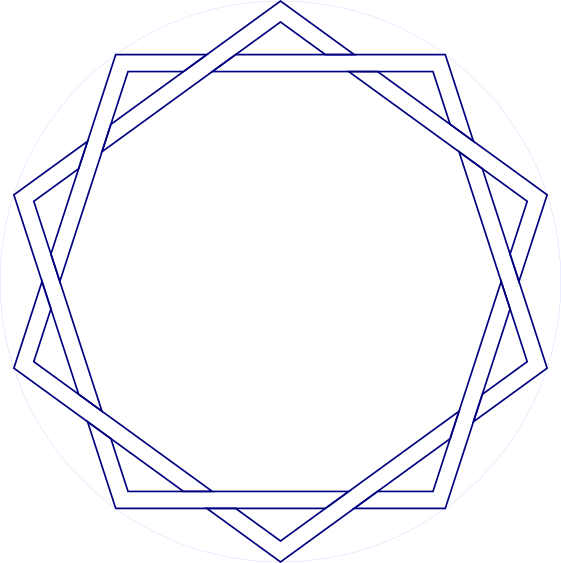 I hope to add some basic examples later, though it’s hard to get this exactly seamless. This tutorial helps for a limited number of cases. 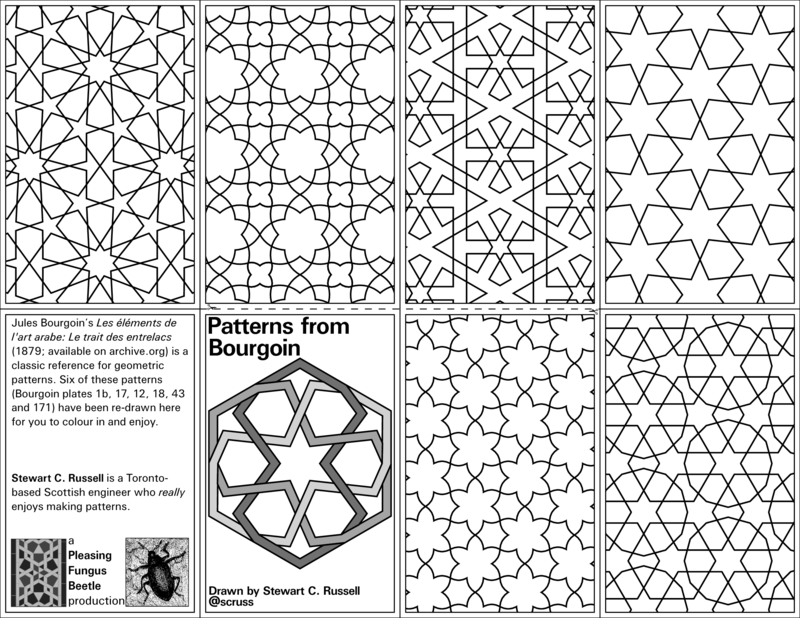 Just uploaded Les éléments de l’art arabe: Le trait des entrelacs by Jules Bourgoin (aka Arabic Geometrical Pattern & Design) to archive.org. 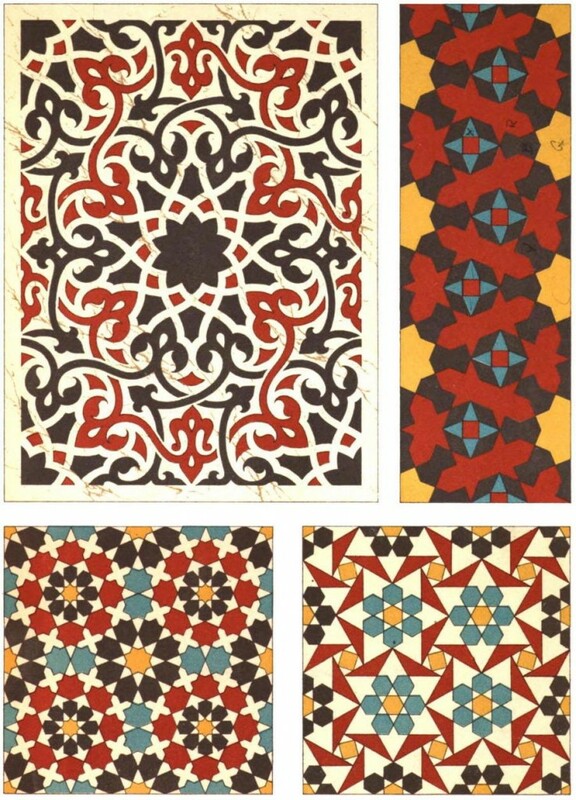 This is much cleaned up from the Google Books scan, which had many duplicate pages and no metadata.